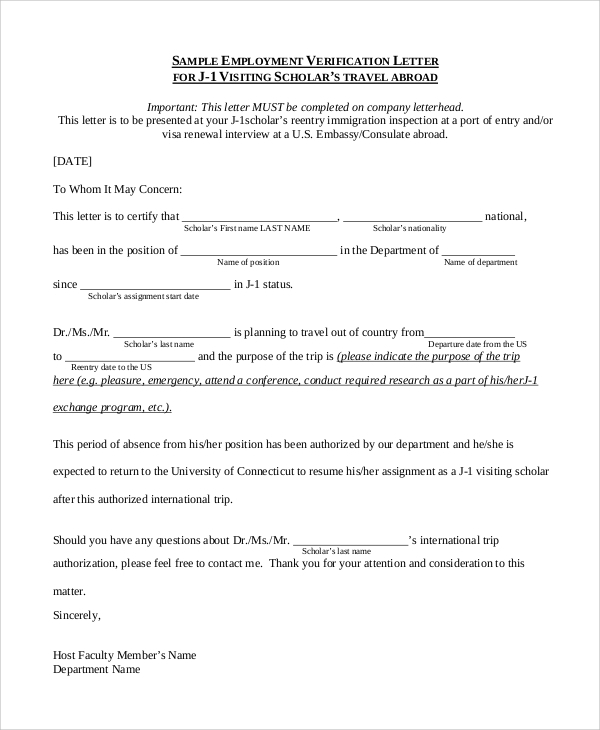 You may often need the Sample Employment Verification Letters format when you are searching for another job, going to another place or abroad, looking for other opportunities elsewhere, trying to go for some internship or research program, or thinking of getting some loan or insurance. In all such cases, you may have to prove your employment and thus may have to get this format filled up by the employer with the company seal and sign. In case, you have confusion regarding making one on your own, here are great samples for help. 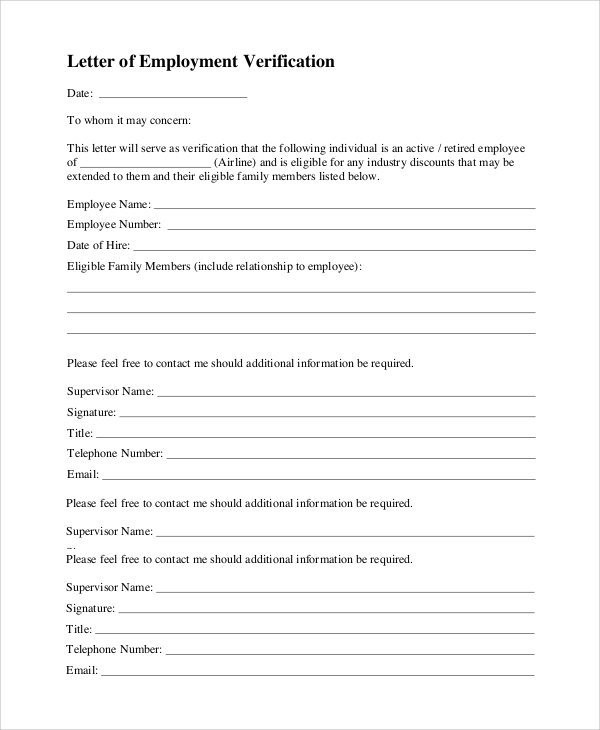 The employment verification letter format is a simple format that you can always use to verify the employment with the company seal and authority signature while filling all the employee details. 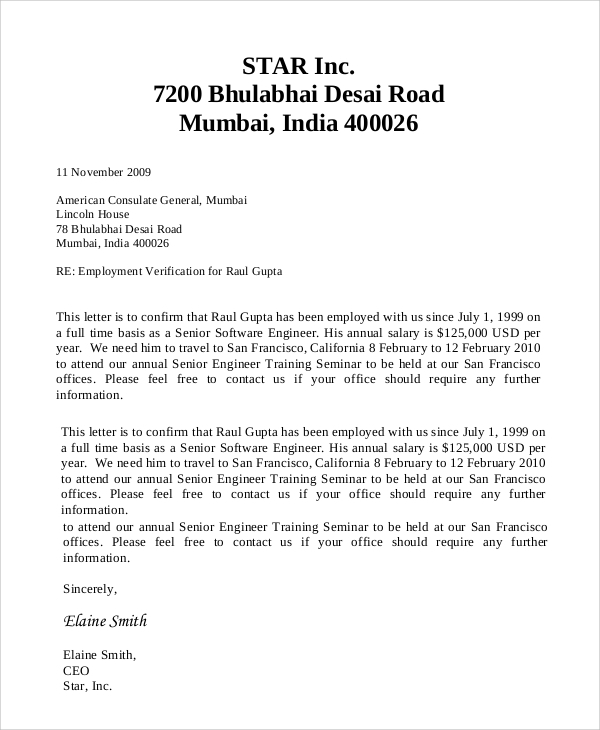 The employment letter sample is a much useful example which you may refer to while making one similar for your employees, or for suggesting your boss. 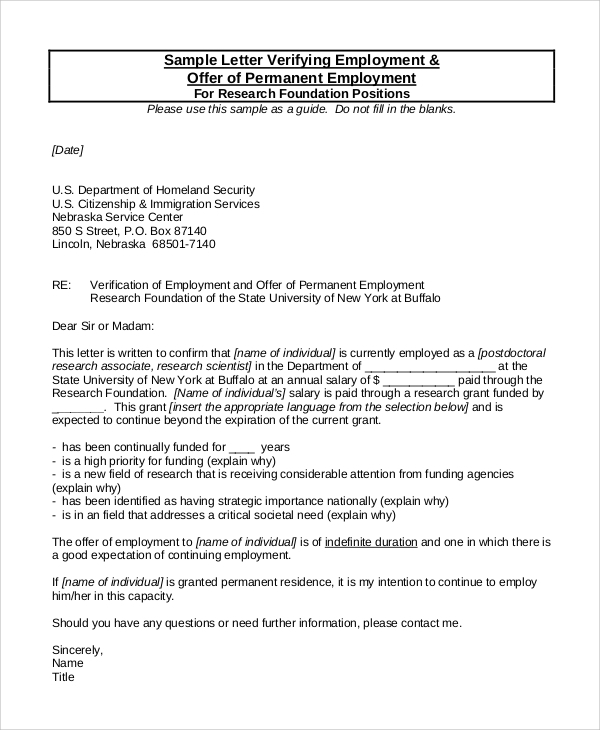 If your employee needs a Visa and asks you to give an employment verification this, then you may get the exact format needed from this template. 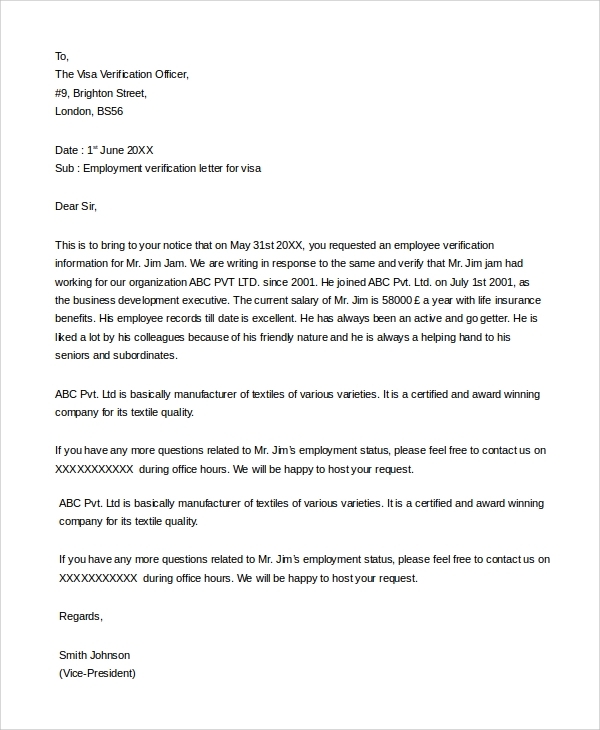 The employment verification letter example is a simple example or sample that either the employee or employer may refer to, and get an idea of the format for making such a letter. 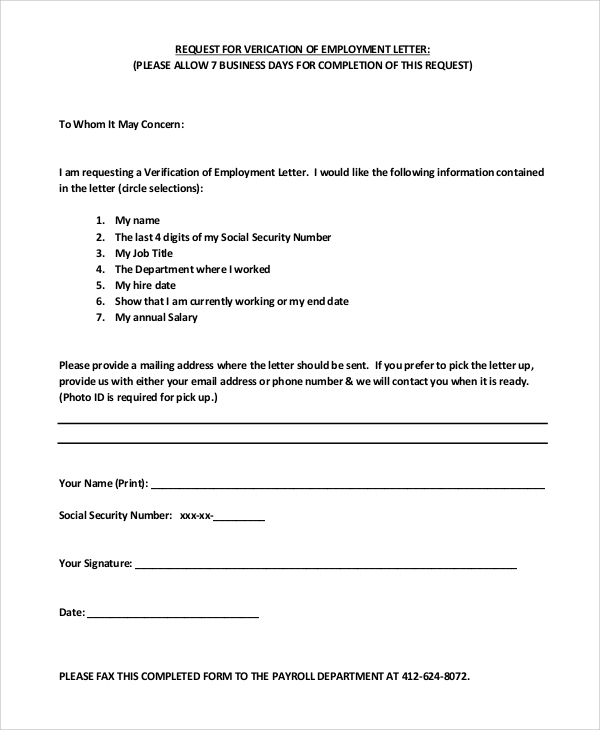 The PDF version of the employment verification letter is for those who loves or prefers viewing the PDF format. You can always refer to the free format for a detailed idea. 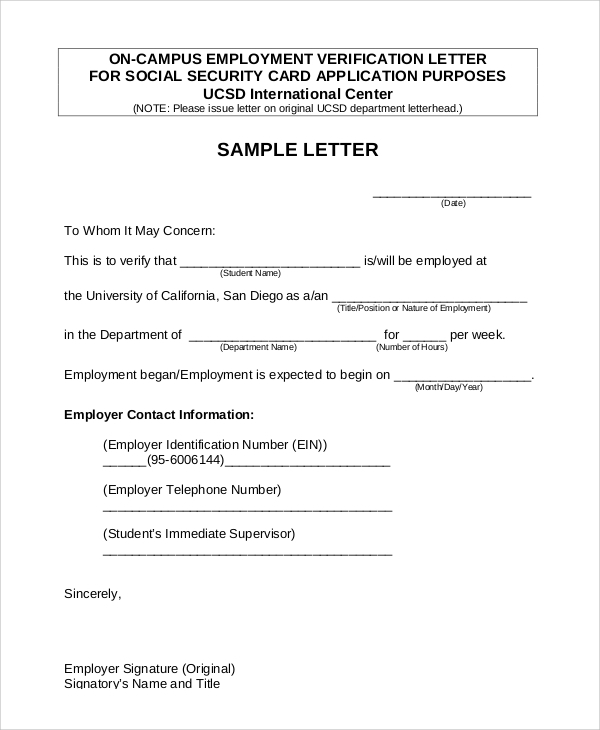 What is the Employment Verification Letter? Hence, if you are an employee, you may suggest the various styles of employment verification letters to your employer. There are many suggestions of the different forms of the employment verification letters, and you will get many options to chose from when you search online. 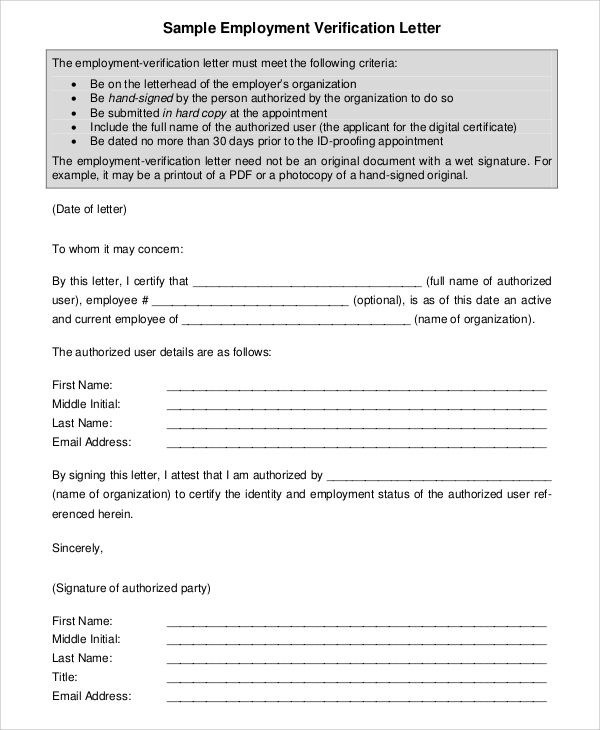 The main use of the employment verification letter is to verify the authenticity of a person as an employee of a company, office, organization etc. This is kind of a certification by the employer which can be deemed legally all right and acceptable in many places. Overall, it’s a proof of employment and can be used in many cases like the issuance of loans, insurances, issuance of visas, and for new jobs and relocations etc. The many forms of employment verification letters you get online are free to use. Whether you look for sample employment application forms, or for Sample Employment Cover Letters, the place is here. You will get free formats made by experts which are all globally acceptable and highly officially standard ones for ready use. Customize them as you need to, or just take ideas from them.